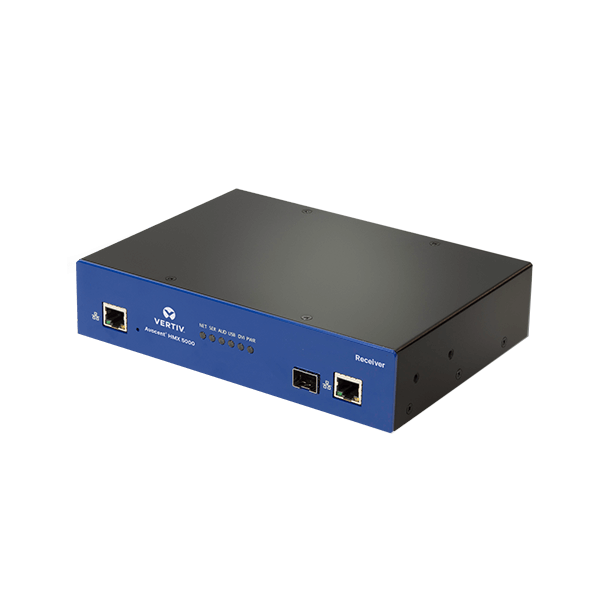 The Vertiv Avocent HMX5100R is a high performance KVM extender Receiver (RX) from the HMX 5000/6000 product line featuring Single Head DVI-D (Single Link), USB, Audio (3.5mm in/out), RS232 (9-pin-D-type), 8pp8c (Ethernet over twisted pair), and SFP ports. 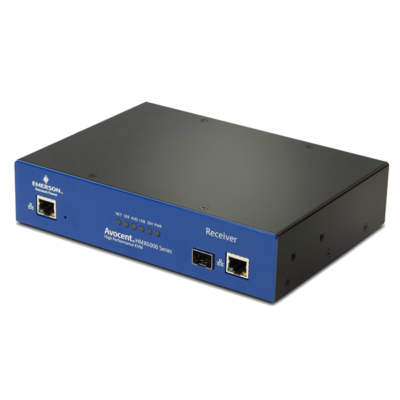 The Avocent HMX 5000 Series is an IP-based high performance KVM extender that forms part of the matrix solution. 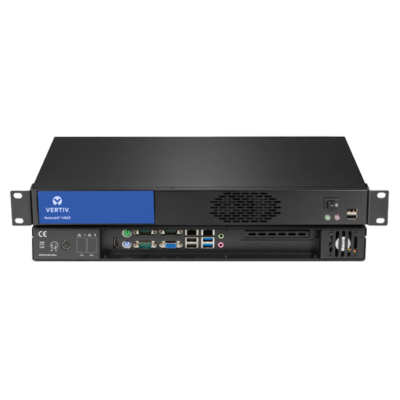 This enables you to locate your critical computing hardware in a secure and temperature controlled environment away from the user work station, while maintaining a pixel perfect desktop experience. Plug and Play – These devices are delivered in a zero config state so you can plug them in and start working on them straight away. There is no need for drivers or software to be installed.